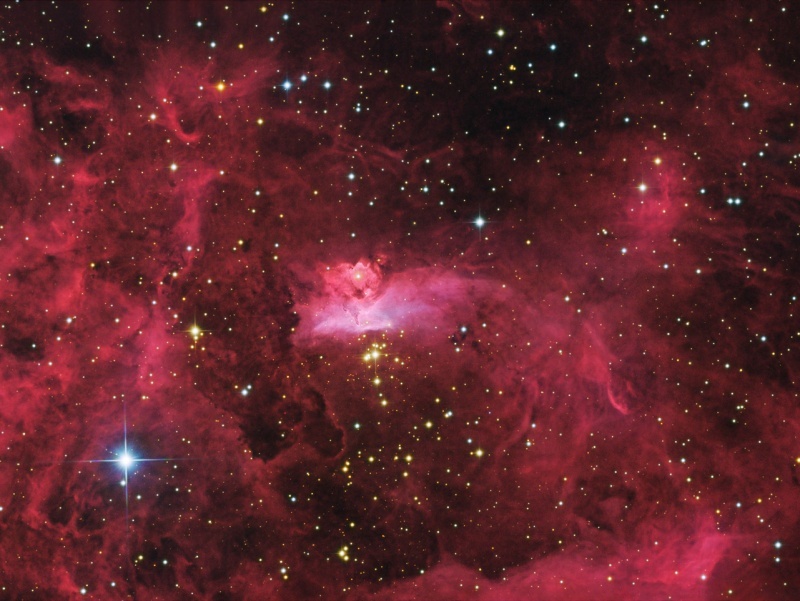 Explanation: Massive stars lie within NGC 6357, an expansive emission nebula complex some 8,000 light-years away in the tail of the constellation Scorpius. In fact, positioned just below center in this close-up view of NGC 6357, star cluster Pismis 24 includes some of the most massive stars known in the galaxy, stars with over 100 times the mass of the Sun. The nebula's bright central region also contains dusty pillars of molecular gas, likely hiding massive protostars from the prying eyes of optical instruments. Intricate shapes in the nebula are carved by interstellar winds and energetic radiation from the young and newly forming massive stars. 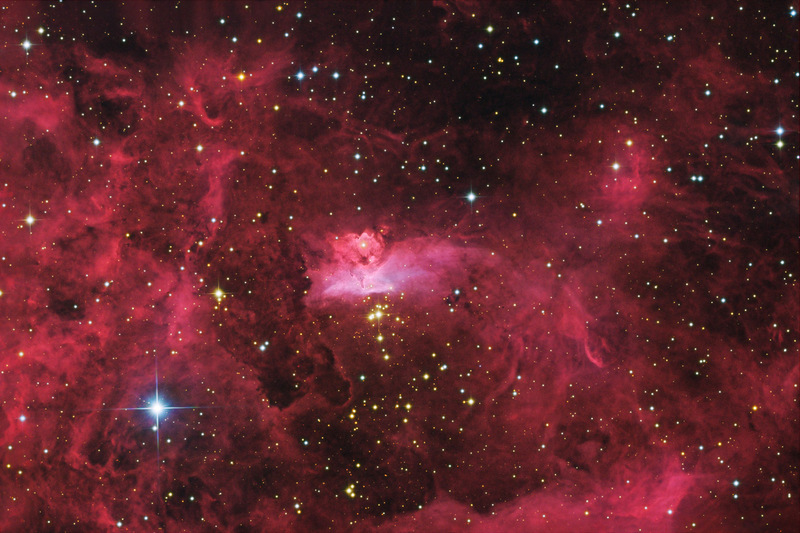 This alluring telescopic view spans just under 50 light-years at the estimated distance of NGC 6357.